There’s some bad news for anyone still using a Galaxy Note 7 in the US. Samsung has confirmed that it will roll out an update to Galaxy Note 7 phones in the US that will prevent them from charging and block their ability to work as mobile devices. This update will be released on December 19 and will roll out to all Note 7s within 30 days. 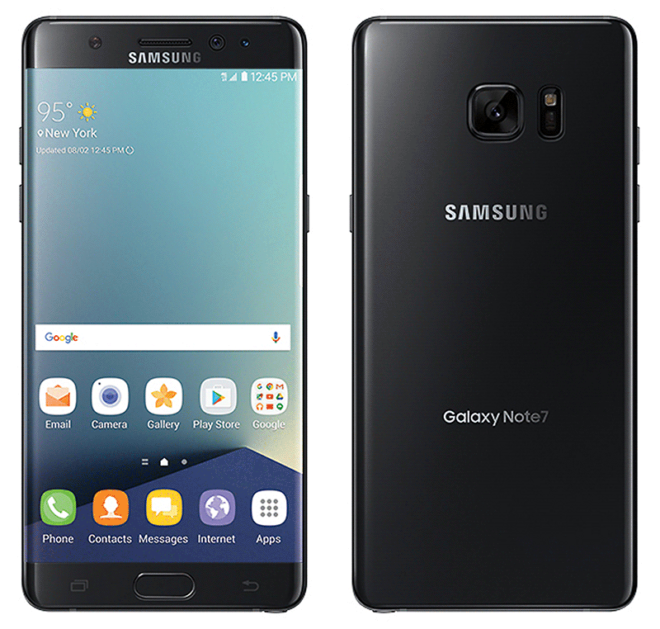 Samsung says that to date, more than 93 percent of recalled Galaxy Note 7 devices in the US have been returned. To gather that remaining 7 percent, the company is taking drastic steps. If you’re still using a Galaxy Note 7 from T-Mobile, you can visit a T-Mo store to begin the process of returning your phone or call 1-844-275-9309. You’ll be able to swap your Note 7 for a different phone and get a bill credit for your troubles: $100 if you choose another Samsung phone, or $25 if you switch to a different brand of device. Are you or anyone you know still using a Galaxy Note 7? That’s not bad news, that’s good news. Anybody still using the Note 7 is just waiting to get burned, literally. Some people just need a little help figuring things out. They are. This is a reality. Not that I own Note7, but when I buy a phone, it becomes my property. It’s ultimately my own choice what to do with it. It doesn’t matter how hazardous it is. If I make a conscious decision to keep it, why anyone would have any rights to take it from me, or to do anything to it that I don’t want? When you become a potential liability to other’s lives, you no longer have that right. When there only been around 35+ cases of exploding note 7 out of 2.5 million make, I dont think it should be mandatory to return the phone. I still have mines right now, i exchanged it on the 1st recall havent had any issues never did the update and still charge mines up to 100%. Look at car manufactures like toyota that there cars was having breaking isseues, before a recall was issued. I understand samsung but we made less of a big deal when we spend thousands of dollars on a car that was having issues stopping. Plus for alot of us i upgraded from the note 4. There is NOTHING on the market that compares to the note 7. Waterproof, spen, the curve was less then the s7 edges so no accidental touches. & that fact that there so many customers going thru this and all that is being done is a $25 bill credit for our troubles or maybe a $100 if we upgrade to another samsung. & please dont say iphone because they stated they needed to remove a headphone jack to make the phone water resistant & still running 1080 screens. When 2k screens are going on 3+ yrs with other companies. Well the next step they will take is to block your IMEI, so you will be stuck with a WiFi only phablet. Mines = explosive…which in this case is only half accurate. we are thinking of you. now mom needs you to get upstairs, FS!